Farrar, Straus and Giroux, 9780374191375, 272pp. Caryl Phillips's The Lost Child is a sweeping story of orphans and outcasts, haunted by the past and fighting to liberate themselves from it. At its center is Monica Johnson—cut off from her parents after falling in love with a foreigner—and her bitter struggle to raise her sons in the shadow of the wild moors of the north of England. Phillips intertwines her modern narrative with the childhood of one of literature's most enigmatic lost boys, as he deftly conjures young Heathcliff, the anti-hero of Wuthering Heights, and his ragged existence before Mr. Earnshaw brought him home to his family. 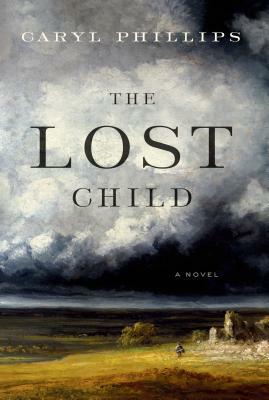 The Lost Child is a multifaceted, deeply original response to Emily Bronte's masterpiece, Wuthering Heights. A critically acclaimed and sublimely talented storyteller, Caryl Phillips is "in a league with Toni Morrison and V. S. Naipaul" (Booklist) and "his novels have a way of growing on you, staying with you long after you've closed the book." (The New York Times Book Review) A true literary feat, The Lost Child recovers the mysteries of the past to illuminate the predicaments of the present, getting at the heart of alienation, exile, and family by transforming a classic into a profound story that is singularly its own.